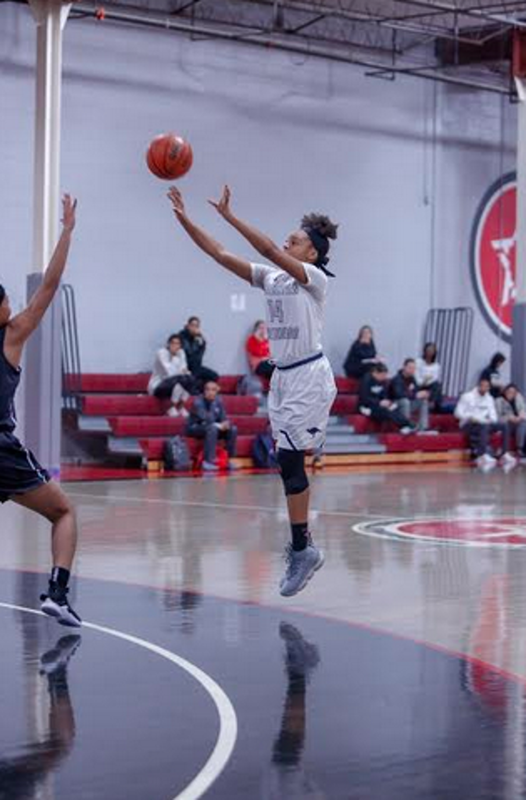 The 10th Annual DC Area She Got Game Classic once again saw a plethora of talent parade forth over the weekend of December 14-16. A total of 124 high school teams from 11 states, the District of Columbia, Australia and Canada played one to three pre-set games at one of five host sites. The recently renovated Athletic Republic facility in District Heights, Maryland, served as the primary site with four courts in use. Approximately 130 college coaches (mostly NCAA Division 1 from the eastern half of the country) observed at least one of the three days of the event. Approximately 15 scouting services/media outlets (mostly online) also were in attendance. Bishop McNamara (Forestville, Maryland) helped advance its case for number 1 in the USA defeating a strong New Hope Academy (District Heights, Maryland) by a score of 77-61 where both teams were nationally ranked by MaxPreps in its most recent posting. McNamara beat ranked Hamilton Heights out of Tennessee last week and now sits only behind St. John’s College High School (Chevy Chase, DC) in the MaxPreps Xcellent 25 rankings. The difference in the contest favoring McNamara was greater athleticm over the course of the game, which was more like a track meet with 32 minutes of heavy duty full length action, not for the faint of heart. Down 21-12 after one quarter, New Hope used a 6-0 run to close the half only down 39-33. However, Bishop McNamara pulled away 57-42 after three quarters with the lead never challenged in the final stanza. 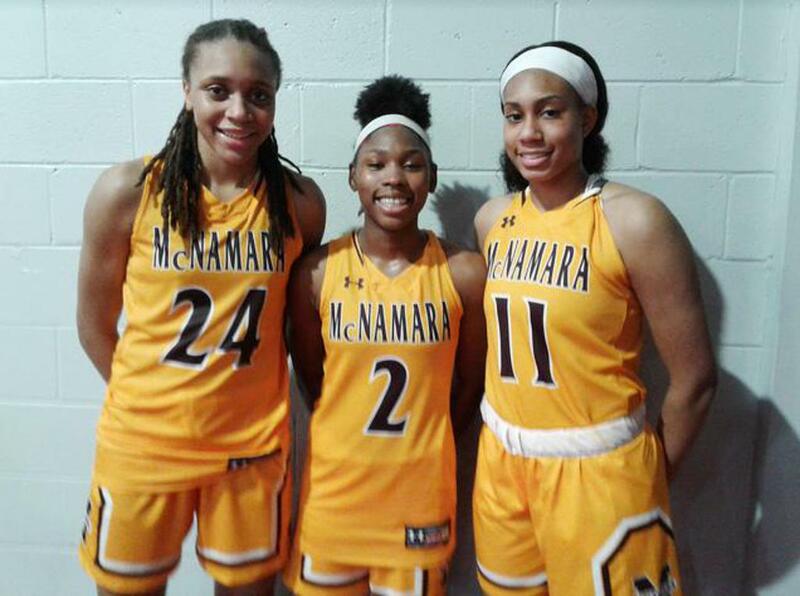 McNamara’s big three of Jakia Brown Turner (20 points; game MVP), Aliyah Matharu (18 points) and Madison Scott (13 points) led the way for the victors. Jada Walker (featured in our report on the Allen (Texas) Hoopfest) led New Hope with 18 points. Riverdale Baptist (Upper Marlboro, Maryland) came in undefeated and posted two wins highlighted by a 51-50 edging of nationally ranked Southeast Raleigh (Raleigh, North Carolina). Capitalizing on turnovers and layups, Riverdale Baptist led 37-24 and half and 47-36 after three quarters. To Southeast’s credit, they tied the score at 50 with 2:25 left on the clock. 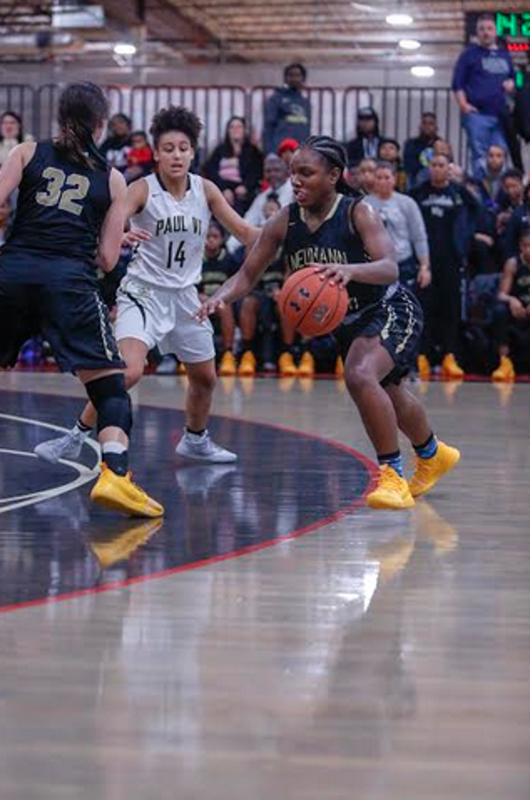 However, they were unable to take the lead and Kaylah Ivey’s (see below) free throw with six seconds left was the margin of separation. Westridge Academy (Kernersville, North Carolina) continued as an undefeated team and can claim being best in North Carolina taking down Southeast Raleigh 52-45. Both teams are very talented and play hard. On this day, Westridge appeared quicker to loose balls and got out on the fast break a number of times. As in the game with Riverdale Baptist, Southeast pruned a double digit lead back (this time to 49-45) in the closing minute. Commendations need to go to Southeast Raleigh High School (a public National Federation of High Schools member high school) for agreeing to play independent (non-NFHS) Westridge Academy. A lot of states will not allow its members to play non-NFHS schools citing the lack of comparable supervision. North Carolina is a state which lets its members schedule as they please and Southeast agreed to this big-time match-up. Many coaches would not have risked defeat and passed on scheduling Westridge. In the two losses, Southeast’s players never gave up cutting double-digit leads to tied or within a few points. Looking at some of the individual talent viewed in alphabetical orde with height, position and school within graduation year. Many others could have been discussed. All are Division 1 prospects at some level. Location of school is in parenthesis. Signed with NC State, Brown-Turner combines good motor with an ability to shoot from the perimeter inside and beyond the arc. Her performance (20 points) versus New Hope earned her game MVP honors. Signed with West Virginia, Deans was one of the most consistently impressive players at She Got Game. She plays hard at high speed, runs the offense and can shoot the three. She scored 28 points total in her team’s two wins at the event. Signed with Mississippi State, Matharu is playing more off the ball this year although she has shown herself capable of playing the point in club ball and last year in high school. She posted 18 points via drives and perimeter shots in the win versus New Hope. Signed with Virginia, Miller is tall enough to help her team inside but is a more natural perimeter player. In interviewing her after her team’s 66-56 win (17 points; game MVP) over Conrad School of Sciences, Miller indicated that she is working to improve her perimeter stroke as driving is currently her first scoring option. Signed with Texas, Taylor plays hard on defense, attacks with force and has perimeter stroke able to play multiple positions. Surrounded by a mostly young team, her squad split its games at the event. Signed with Cincinnati, Tuff is a good athlete with three-point range. She posted 32 points in her team’s two wins at the event. 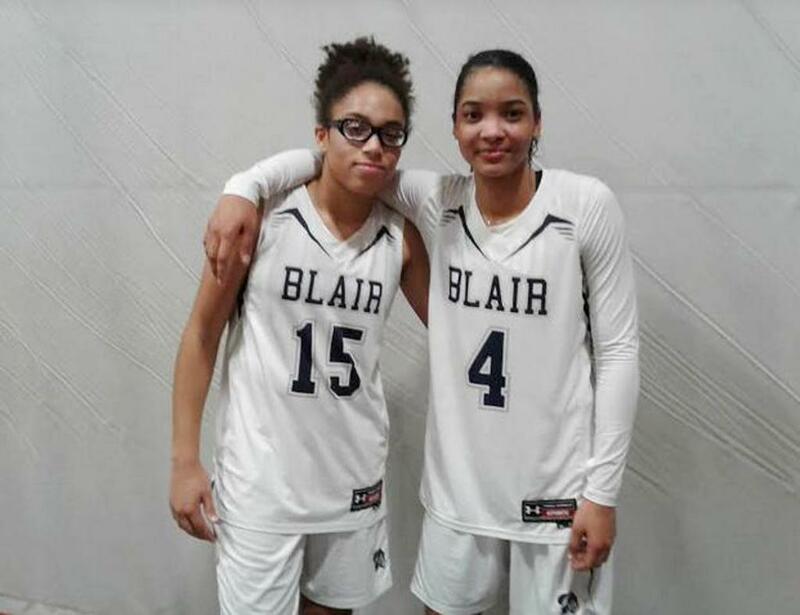 As one scout commented, Tuff and Deans combine to form on of the best backcourts that few know of in US high school basketball. Hazel does a lot for Southeast starting with playing hard. She scores via attacking the basket but also has perimeter stroke. Finally, she pitches in to help run the offense but is probably a shooting guard at the next level. Ivey scored 20 points (game MVP) in the win over Southeast Raleigh. She can hit the three but is a strong finisher getting out on the fast break. She scored only one of her points in the second half versus Southeast but it was the one that put her team ahead for good in the closing seconds of the contest. Johnson can hit the three but is a power to be reckoned with when driving to the basket. She posted 26 and 38 points as her team split two games at the event. Power 5 schools should be monitoring her progress if not already lining up. McLean is one of the top leapers in today’s high school game. Yes, she could improved her range but she finishes well against contact amongst the trees in the key. Her efforts helped Roland Park win both games at the event. Scott appears to be playing with more confidence than when last seen during the summer club ball season. She hits the boards hard and will attack the basket off the bounce from the high post and along the baseline. She has Power 5 offers. A good athlete, Clesca has a powerful pull-up jumper but can also penetrate to the rim. Power 5 programs should be monitoring her maturation. Darius is a fine athlete and can shoot off the catch or bounce. Power 5 schools are lining up. Miles loves to pass but can score it via drive or on the perimeter. 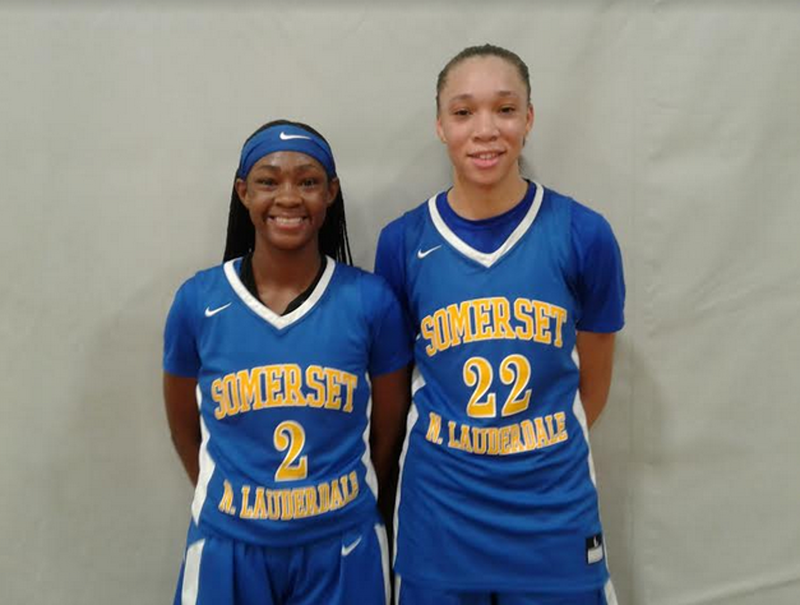 She is considered one of the top guard prospects in her class and along with Darius makes up one of the top (if not the top) guard tandems in the 2021 class. Whittelsey may not be her team’s best player but may be its top prospect. Her hands are almost magnetic and she has good passing instincts for a low post player. Better conditioning and continued improvement of skills (both obtainable) separate her from a future possible spot on a Power 5 college roster. For a freshman, Jackson penetrates with the authority of an upperclassman. She does need to complement this with improving her outside shot. 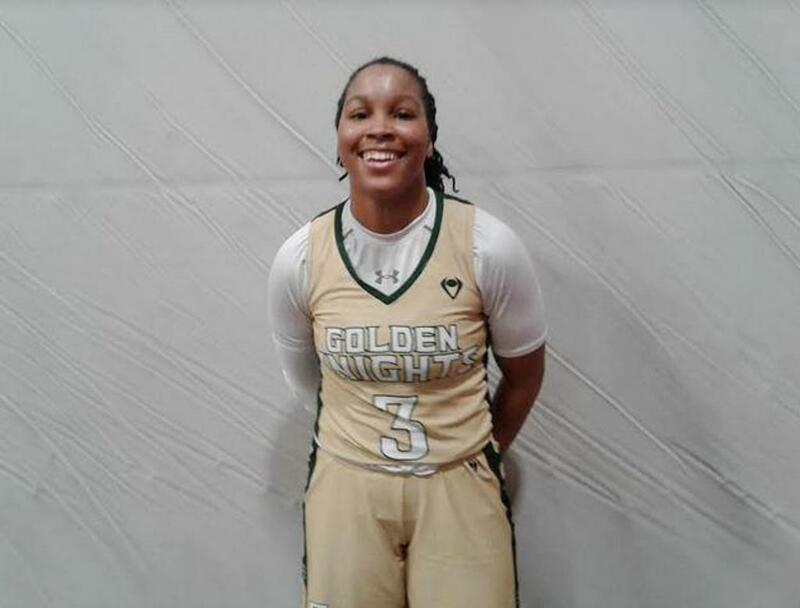 With a mother who played in the WNBA, she has the right genes and Power 5 schools are already monitoring her progress. Kone is a good athlete who likes to work out of the high post to attack the basket. Right now, one of her best attributes is her ability to block shots. Rice is already high on Power 5 radar. She can play either guard slot although she is projected down the road as more of a point guard. She is explosive in attacking the basket going left or right and can score off the bounce at mid-range. Simmons is a good athlete who can attack left or right as well as dish off along the way to open teammates. Defensively, she uses her quickness to create steals. Power 5 programs should be monitoring her maturation. Talley may be a bit undersized but with a good motor and strong build, she keeps producing in the lower paint. Her efforts helped her team to two one-point victories at the event. Worley hit 5 threes in one contest at She Got Game. She shoots from well behind the three-point line (see photo).